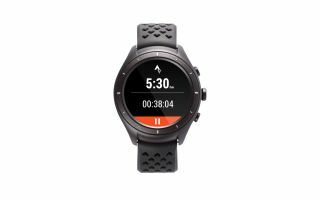 If you're tired of strapping a phone to your arm when heading out for a run or a cycle, and are one of the millions who use Strava to log their runs, then good news: you can finally use the app on a smartwatch. That doesn't sound like that much of a big deal, but Strava has announced that you'll be able to finally leave the phone at home and have the app run natively on your smartwatch. However, it's only on Android Wear 2.0 devices, of which there are currently very few - the LG Watch Sport and LG Watch Style are the first new devices to make use of it, and a few other smartwatches will be updated to the new platform in the coming months. The big miss here is the Apple Watch still - we've been hoping for a Strava app on the Apple Watch 2 (or the original Apple Watch) for months, if not years, and sadly it's still not here. "We are excited to see that Apple is introducing a native GPS into the Series 2 of the Watch. We are actively looking into how we can extend Strava's existing Apple Watch app to take advantage of the native GPS." It's pretty likely it'll appear on Apple's timepiece in the near future, but for now, if you want Strava on the go and don't want to have to keep a phone circulating around your body, at least there's now an option.